I am always surprised at the number of times that I see divorce settlements, even those written by legal professionals, which fail to contain any tax provisions. Despite this lack of attention, tax issues can often have the greatest impact on the settlement. Divorcing couples need to look at the tax consequences of their settlement from a broader perspective to understand its long-term effect on the family's financial future. Why are tax issues so important in divorce? As I inform all my clients who begin mediation, you should approach taxation issues with the goal of preserving as much of the marital estate as possible. Not only for distributing assets at the time of settlement, but also for future financial planning for the family. And why not? The more taxes you save, the more you will have left to divide in the end. With more income and assets heading into divorce, you will both be better prepared to live in separate households and adequately support your children (as the case may be) after the divorce. It's all good for everyone. Mediation for divorce lends itself particularly well to tax issues because they are, for the most part, negotiable between spouses. After all, spouses are not in mediation to help themselves first, but to ensure that their family is financially secure as possible after the divorce. Make sure you have a professional who can first educate you on the potential tax issues and pitfalls and the impact they might have on your marital estate before you negotiate the rest of your divorce settlement. Often times, clients need more in depth analysis and actual tax advice than I am not able to provide in mediation since I am not a tax professional. However, I am able to offer some solid tax guidance and perspective, due to many years of experience with these topics in private divorce attorney representation. What are the tax consequences of divorce? The 6 tax issues that I've found are most critical to ensure a fair, forward-thinking divorce settlement. We use tax planning software to give our clients a snapshot of how their respective tax pictures will change in Year 1 of divorce. This is not tax advice, of course, but just an estimated report. We use current tax rates, assuming they will continue with the same incomes and applying all other terms and factors of their divorce. This report gives our clients an excellent view of what they can each expect tax-wise in Year 1 of divorce, and also how much after-tax monthly cash they will have in their budget to live. Some spouses discover they will have to either adjust their W-4 at work to withhold more taxes, or put aside more quarterly taxes if they are self-employed. If you and your spouse normally receive a tax return due to the benefits of filing as "Married Filing Jointly," you may want to consider delaying the official divorce decree until after you file taxes one last time. Depending on your circumstances, this can give you more flexibility in finalizing the settlement. Although often hotly contested in court, this issue is usually resolved easily in mediation. Again, through the use of our tax planning software, I will run different scenarios, both with either spouse taking the deduction(s), or splitting the deduction(s). The reports will show where the greatest tax savings lie. If possible, I want both spouses to realize a tax savings from claiming the children. I also do not want this deduction to result in a wasted tax benefit to anyone. If you and your spouse will both receive a tax benefit from claiming one or more children (and are also not phased out of the child tax credit due to high income), you may decide to split the children. If you have an odd number of children, you could consider splitting each child and then alternate the remaining child from year to year. In the case of one child, you may want to alternate the child from year to year. A spouse with primary custody of the children is entitled by law to claim all of the children in his/her custody. However, there are times that I see this deduction getting wasted on the primary custodian if they have little or no income resulting in any tax liability. The reoccurring theme here is: what is the long-term benefit? If you are the primary custodian, you could negotiate with your spouse to relinquish the claim to them if they will realize a tax benefit. More cash in your spouse's pocket means more cash available to pay child support. On the other hand, If you are receiving alimony payments which are taxable income, you might need the dependency claim to offset the taxes paid on the alimony. 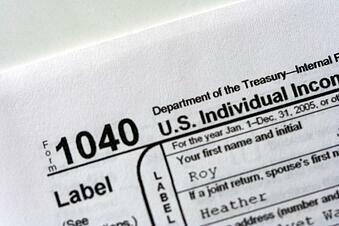 Once again, a key tax aspect to a divorce, but something that most spouses overlook. Being able to take these deductions on the marital home was a given during the marriage. However, upon the divorce, what happens to them? The answer depends on what happens to the marital home. Who assumes the marital home in the settlement, or is the home being sold? Usually, if one spouse buys the other out of the marital home, they will also have the benefit of keeping these tax shelters moving forward. This is a benefit that the other spouse may lose upon giving up the home, if they cannot afford to purchase another home. Typically, the spouse in this position will negotiate other aspects of the settlement to account for the loss of this benefit. If you decide to sell the marital home, there are a few tax issues to consider depending on your circumstances leading up to the sale. If one spouse is living in the home pending its sale and is responsible for paying the mortgage interest and taxes, it seems most fair that they would take all of the these deductions on their return. If spouses are still living together in the home pending the finalization of the divorce and are sharing all the interim expenses, they will often agree to split equally all mortgage interest and taxes paid up until the date that one spouse permanently moves from the home. This is why it is important in these situations to establish a specific "move out" date in the divorce agreement. If the marital home is sold during the year of divorce, or in years subsequent to the divorce, spouses can agree to split all mortgage interest and property taxes paid on the home up until its sale. This will give each spouse an additional itemized deduction on their individual return to help lower their tax liability. I could write a separate article devoted to this subject alone, but suffice it to say, alimony payments can have drastic tax consequences in a divorce. Generally, they are taxable as ordinary income to the recipient and tax deductible to the payer. The parties may also agree in the contract that all alimony payments will not be taxable to the recipient and also not tax deductible to the payer. Through the use of our tax planning software, we are able to show clients the tax consequences of alimony being paid at a certain amount for a certain period of time. We can analyze what the net after-tax value of the alimony would look like to the recipient, while looking at an estimate of how much tax the payer could expect to save with the payments. If the tax liability of the alimony greatly outweighs the tax savings, spouses might negotiate to make the alimony not taxable and not deductible, giving the recipient spouse the full value of the payment amount. Alternatively, they may choose to pay alimony as a lump sum at the time of divorce or in lieu of alimony, agree that one spouse takes a greater portion of the marital assets in equitable distribution. In either case, these are non-tax events, having no tax consequences at all either way. Generally, alimony is taxable as ordinary income to the recipient and tax deductible to the payer. However, you and your spouse may also put in your divorce agreement that all alimony payments will not be taxable to the recipient and also not tax deductible to the payer. As spouses evaluate all the property in the marital estate, the mediator will help them to characterize it, asset by asset. In other words, what are the liquid cash assets versus what are the non-liquid retirement and non-retirement investment assets? Many non-liquid assets have tax and penalty consequences upon a transfer in a divorce. The rules and consequences of a transfer are sometimes complex, requiring a solid understanding by the mediator as to how they work specifically related to a divorce. Although some funds can be transferred tax and penalty-free with a certified divorce decree, others will require what is called a Qualified Domestic Relations Order in order for the transfer to be both tax and penalty-free. Additionally, if you or your spouse need to borrow or take a distribution from a non-liquid asset, there is often a tax and/or penalty consequence. We can analyze and estimate the dollar value of the tax and/or penalty amount upon the distribution, and from that, help you negotiate how to will split any tax or penalty consequence that one or both will face. Although some non-liquid assets can be transferred tax and penalty-free with a certified divorce decree, others will require what is called a Qualified Domestic Relations Order (QDRO). Spouses may buy out each others' equity interests in the marital home or of a business as part of their divorce settlement. Often times, when buyouts occur, the spouse who buys out the other does not have a sufficient amount of cash on hand to execute the buyout. In this case, spouses will enter into an installment note agreement for one spouse to pay the other over a period of time after the divorce. This type of arrangement can be very useful in allowing spouses to move on and finalize their divorce, even if the buyout obligation is not paid in full. The key here is the agreement must specify that the buyout is for property in equitable distribution that is "incident to a divorce." If such is the case, then the transfer is considered tax-free in most cases per IRS Section 1041. However, the payment, in order to be considered a payment "incident to a divorce," must be paid in full within six (6) years after the date of the divorce decree. Getting organized and preparing for divorce mediation? Download our 30-item divorce checklist. Cris Pastore, Esq. 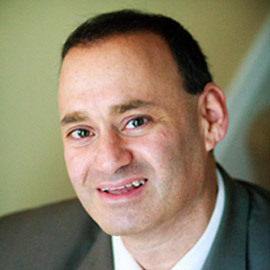 is co-founder and managing attorney-mediator at Main Line Family Law Center, a divorce mediation firm with 7 offices along the Main Line and Center City, Philadelphia. A practicing attorney for over 20 years, Cris has focused exclusively on divorce mediation since 2007, when he grew increasingly frustrated by destructive nature of the court-contested divorce process. Cris has made it his personal mission to revolutionize this area of practice to preserve family relationships and help families emerge healthy and whole. Follow Cris at @healthy_divorce.